Be it a family vacation or an outing with friends, Cape Town has countless options for entertainment that suits the tastes of all visitors. People love exploring its panoramic landscapes, beautiful beaches and magnificent landmarks. From nature watching and luxury dining to adventure sports and wildlife watching – if you’re looking for things to do in Cape Town, this city has it all. Abseiling is one of the most thrilling adventure sports that one can enjoy on your trip to Cape Town. Just visiting the Table Mountain is not the end of enjoyment especially if you are keen about exploring all possibilities it has on offer! You can jump off the summit of the mountain that is about 1000 meters high from the sea level. While climbing the mountain, you can enjoy some of the most panoramic glimpses of Chapman’s Peak, Cape Town City, Clifton shores and the Camp’s Bay. Then you can climb down the mountain exploring some of the most beautiful hiking trails passing through beautiful gorges. Even if you are not a professional ornithologist, you would probably love watching the spectacular birds that are an integral part of Cape Town’s wild fauna. At the Boulders Beach, you get to witness all stages of African penguins that breed on the mainland. This particular bird watching treat is considered the ‘best land based seabird watching in the world’. Other birds that can be watched here include Bokmakierie, Bishop, Orange-breasted Sunbird, Cape Grassbird, Double-collared Southern Sunbird, Cape Sugarbird and Malachite Sunbird. If you would like to experience the playful ripples and waves from close vicinity, an exhilarating boat tour through the cool waters of Atlantic is just perfect. The boat trip for an hour will let you discover some of the most beautiful marine marvels and also the picturesque scenery of Sea Point, Bantry Bay, Granger Bay, and Camps Bay. A helicopter flight to the Cape Peninsula and the ‘Shark Cage Diving Tour’ are just as amazing. 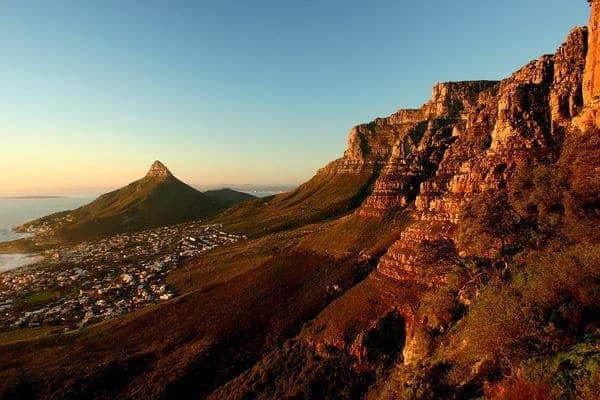 What are your favourite things to do in Cape Town? Sheff’s Vegetarian Restaurant in Cape Town | Vegan SA Blog – Sheff’s is a small vibrant vegan and vegetarian restaurant situated in Buiten Street, in the heart of Cape Town. The food is fresh and very tasty, made with.